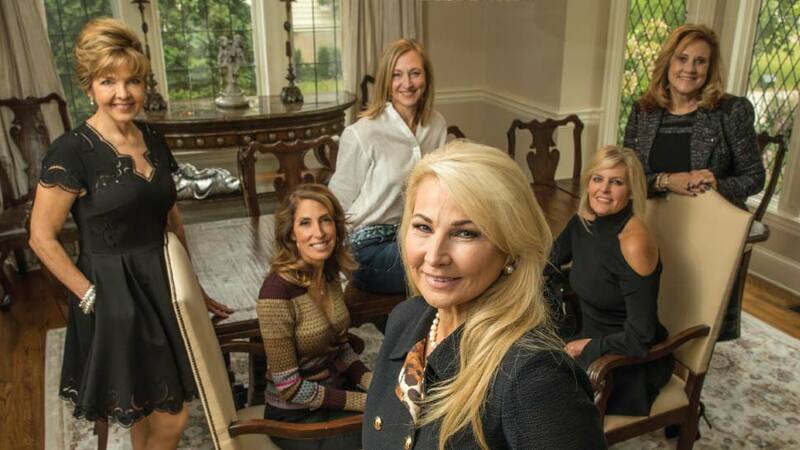 Hinsdale resident Kimberly Arquilla loves working with women, but she could never reconcile one simple act women often do—why dress up in beautiful clothes and jewelry, then, as a finishing touch, add a cheap barrette to your hair? Maybe it was her Southern upbringing (she’s from Texas) or perhaps it is her affinity for elegance and style, but Arquilla certainly knows how to put it all together. So, when she was transitioning into a new phase in her life, she created Bella & Britt LLC, a company that creates exquisite, hand-crafted barrettes made from precious metals and stones. “I’ve always loved the texture, the look and feel of precious stones and metals, so I decided to design a piece of beautiful hair jewelry,” says Arquilla. But her beautiful barrettes and soon-to-be-added brooches and belts were born out of more than mere observation of women’s fashion. From these monthly gatherings, and as a show of gratitude towards her confidante, Arquilla’s b & b Foundation was born. “It’s a representation of what she offered me—compassion, confidentiality, and inspiration,” says Arquilla, who also believes that through helping others we ultimately help ourselves. b & b Foundation is a conduit of resources for women to help them through any difficult transitions. Whether you are going through a divorce, the death of a child or spouse, loss of a job, or any other significant life-changing event, the foundation provides critical support for women in the community who are facing difficult times and are in immediate need of assistance. Most importantly, it’s all completely confidential. Women call b & b Foundation and speak only to one point person, board member Denise Andrews. From that moment on, the client is assigned a number to ensure total confidentiality and privacy. The clients are directed to trusted professional resources specific to their needs. They are also put in touch with other women who have experienced the same type of transition or challenge. If necessary, the clients may be considered for interim financial resources within 48 hours of their request. Some professional resources available to clients include wealth management; car buying; therapy or mediation; contractors; interior designers; pre-divorce filing information; mentors for loss of a child; health wellness and positivity; how to start your own company and more. Other board members include Lisa Allegra, Jennifer Latimer, Rose Ross, Susan Cobb (development), Kathy Harris (event), Danette Perry (resources), and Lisa Fitzgerald. For more information, please visit bellaandbritt.com.